Looking for something to do over the half term. Why not visit Liverpool for the LightPool Festival where there is entertainment for the whole family up until the 2nd of November 2016. A rabble of mischievous Northerners, Mr Wilson’s Second Liners form a traditional New Orleans funeral brass band. This is no sombre occasion: Mr Wilson’s pay homage to the diehard days of the Hacienda, 90s club culture and its greatest hero, Mr Tony Wilson. Proudly stepping out in uniformed style, they channel the spirit of the 24 hour party people and get audiences dancing wherever they play. Percussion, fire, lights, motion and pure energy: Les Commandos Percu are the pioneers of street fire performance, with 30 years of experience and performances across the world. For their first outing in Blackpool, we bring Interventions Mobiles, an explosive procession of fire and sound. Joining them are The FireWorks Collective, who represent the UK fire performance community at the Burning Man festival in Nevada, US each year. Non-professional performers from around the UK gather to create fire choreography. A must for all the family, to watch the sparks fly. Wednesday 2nd November – Spark! The original and best LED drummers, Spark! Is a unique, captivating and outstanding show like no other. 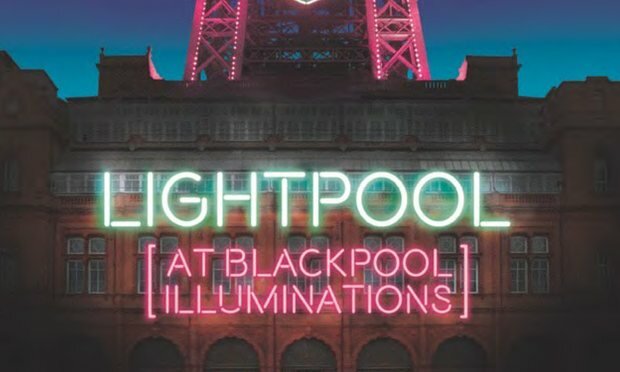 New and exclusively to LightPool Festival Worldbeaters Music will working with 3rd year Musical Theatre Degree students from Blackpool & Fylde College to create a bespoke new section of the show. This incredible opportunity will provide the next generation of performers from Blackpool with their first professional credit. Pyrotechnic virtuosos pa-Boom will join the party to take Spark! to the next level, with an explosive, percussive accompaniment to the show, ending the LightPool Festival 2016 with one heck of a bang! At Easirent Car and Van Hire in Blackburn, we can give you a helping hand getting there. We have a great range of NEW cars in various sizes available to hire, which are suitable for any family size. Our range starts at a small Fiat 500 sized car and goes up to a Volvo V60 D4. If a car is still too small for you. At Easirent Car and Van Hire in Blackburn we have available 9 seating and 17 seating minibuses to hire. Why not call Joe or Mark at Easirent Car and Van Hire in Blackburn today on 01254 495999 and secure your booking. Perhaps you’ve visited the LightPool Festival before why not let us know your experience via Facebook and/or Twitter.